Have you ever noticed that you belittle yourself or your accomplishments? Do you compare yourself to others and then minimize your positive attributes, wishing you were more like someone else? Maybe, it’s been more automatic and you weren’t aware that you regularly pinpoint your flaws and somehow engage in the rat race of constantly competing against a friend, relative, colleague, or partner. If you win, you look for others to give you recognition or affirm you and when they don’t, you somehow feel less than or slighted. If you lose, you beat yourself up and ask the question, “What’s wrong with me?” Or maybe it’s the opposite for you. Do you boast about what you have (tangible or intangible) as an effort to cover up the inadequacies you feel on the inside and hope that those around you applaud you or think more of you than you think of yourself. At the end of the day, you end up facing yourself in the mirror, disappointed in the reflection that stares back at you because somehow you still don’t measure up. Self-esteem is a subjective emotional evaluation of ones worth or abilities. It begins to develop immediately when you are first introduced to the world. Some would say, it begins to develop in the womb. Different experiences reinforce you feeling good or bad about yourself, and you learn at an early age whether or not you are smart enough, pretty or cute enough, good enough, strong enough, important enough, etc. These situations shape you and trigger you to recreate experiences where you make these beliefs true. YES, YOU RECREATE EXPERIENCES THAT MAKE THESE BELIEFS ABOUT YOURSELF TRUE. Sure the thoughts or beliefs are learned and sometimes reinforced by interactions with family, peers, and the world, but it doesn’t make it TRUE. You have to work at training yourself to no longer believe the mistaken beliefs. Below are a few tips to help you embrace the person you are and build your self-esteem. 1. Identify your unhealthy/defeating self-talk and behavior pattern. 2. Explore where they came from. 3. Examine the evidence that disputes the unhealthy thought or belief. 4. Determine when you are most critical of yourself and in what ways do you tend to play out those criticisms. 5. Take responsibility for building yourself up in a healthy way. 6. Recognize and document your good qualities. 7. Learn ways to independently nurture the good and not so good side of yourself. 8. Begin to accept both your positive and negative traits without justification. 9. Look in the mirror, daily, and state one positive affirmation. 10. Be empathic towards yourself and get to know your current self. If you would like assistance implementing these steps, contact one of our therapists at Hidden Stream Counseling at 919-307-3805. Teen relationships are often passionate and exciting, with many teens believing that they have fallen in love. While most relationships are healthy, some end up being abusive. Victims of dating violence end up suffering and having to cope with the long-term effects of abuse. In fact, one in three teens will be a victim of physical, sexual, or emotional abuse from a dating partner. And nearly 1.5 million U.S. high school students will experience physical abuse this year. To help bring awareness to this issue and identify warning signs for parents and teens, advocates designated February as National Teen Dating Violence Awareness and Prevention Month. The goal of this is to bring awareness to parents and teens alike about the warning signs to watch for in teen dating relationships. Isolation from family and friends. It is natural for those in relationships to want to spend more and more time together. However, if a partner pressures you into spending time together to the exclusion of family and friends and then acts jealous and angry when you spend time with others, then your partner may be abusive. Controlling behaviors. Abusive behaviors are rooted in power and control. While these behaviors may initially seem charming, they eventually become more and more restrictive, such as telling you what you can wear, who you can go out with, and to whom you can talk. This typically presents itself in the form of verbal abuse in which the partner purposefully belittles and humiliates you in front of others or criticizes your opinions. The goal of criticism is to make you feel afraid and powerless, giving them power and control over you. If your partner makes threats to withhold love or affection if you don’t do what they want you to do, then this is a form of emotional abuse. Healthy relationships don’t use fear and intimidation. It is important to note that if you or someone you care about is in an abusive relationship, please report it to a responsible adult right away. Victims of abuse are likely to suffer from Post Traumatic Stress Disorder (PTSD), anxiety, depression, and substance abuse. Left untreated, these symptoms are likely to persist and lead the victim to expect abuse in future relationships due to low self-esteem, poor boundaries, and few supports. In more severe cases, the victims may die at the hands of the abuser. Counseling should be considered if anyone has been a victim of an abusive relationship. Cognitive Behavioral Therapy has been proven effective in treating those with depression and anxiety, both common results of being in an abusive relationship. CBT helps address your emotions and thoughts, as well as get to the underlying reason of why you feel the way that you do. While the abuse may be hard for you to talk about at first, therapy can help you to recognize the patterns of an abusive relationship and how to cope with the emotional scars that have been left behind. You don’t have to be a victim anymore, you just have to take the first step. Counselors at Hidden Stream Counseling are here to help. With the New Year, we often make resolutions regarding our diet in an effort to lose the extra weight that seems to have found us. However, our good intentions often don’t last and we end up making the same resolution year after year. Are you ready to put an end to this cycle and find a new way to lose weight? If so, then Cognitive Behavioral Therapy (CBT) for Weight Loss and Maintenance is the plan for you. 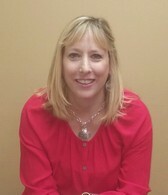 Created by Judith Beck and Deborah Beck Busis of the Beck Institute for Cognitive Behavioral Therapy, CBT for Weight Loss and Maintenance is designed to help you change the way you think about dieting, improve your ability to manage cravings, and learn skills to make your diet program a success. A basic premise of CBT is that permanent changes in behavior require a change in thinking. In the context of weight loss, we work with you to develop new cognitions about eating and exercise habits that are reasonable and maintainable. For example, if I see a piece of cheesecake and think “I deserve to eat that piece of cheesecake because I worked out today and had a good ‘food’ week,” then I am going to eat that piece of cake. My thoughts have already given me permission to dig in and eat. On the other hand, if I changed my thoughts to include my motivations for weight loss using the skills in CBT for Weight Loss, then I will be more reluctant to give in to my desire. To counter the earlier sabotaging thought, I tell myself: “Giving in and eating that cheesecake will only result in a temporary pleasure. I know for certain that if I keep giving in that I am bound to see the scale either stay the same or go up. The only way I can obtain my goal weight, maintain it, and feel better about myself is to resist the cheesecake.” This kind of thought is more motivating and is one of the skills necessary to stop myself from giving in to these cravings. If you are interested in making your New Year’s Resolutions for a healthier you come true, then contact our therapists Tanya St. Julien and Kelly Harrison at Hidden Stream Counseling in Raleigh. They are committed to helping their clients reach and maintain their weight loss goals by using Cognitive Behavioral Therapy for Weight Loss and Maintenance. 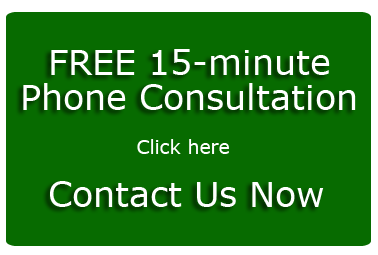 To schedule an appointment, contact us at 919-307-3805. The chill of winter can cause some people to become irritable. They just don’t like the cold weather. Then there are others who become depressed each year, beginning in the late fall and continuing throughout the winter. You may have heard this referred to as the “winter blues” or Seasonal Affective Disorder. But the DSM-5 (Diagnostic and Statistical Manual of Mental Disorders, 5th Edition) actually classifies it as Major Depressive Disorder with a seasonal pattern. It is believed that the lack of sunlight in winter months contributes to this depressive episode, which is alleviated at the onset of spring. If you believe you are a sufferer, here are the facts that you need to know about Seasonal Depression. 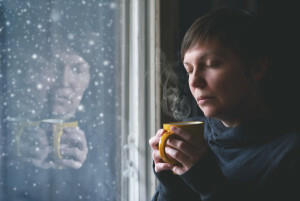 Seasonal Depression usually sets in during the autumn months and continues through the winter. Those who are at risk of developing this form of depression are women, young people, and those living in higher latitudes and colder climates. Individuals with this diagnosis need to have experienced a major depressive episode at the same time period each year for two years in a row. Since the colder weather forces many indoors, that means there are less daylight hours and sun exposure in the fall and winter months. Humans need sun exposure to remain healthy and in order to produce Vitamin D, which regulates our absorption of calcium and protects against disease. Exposure to the sun also produces the uplifting hormone serotonin. But in the winter months, the levels of this hormone drops in seasonal depression sufferers. This decrease in serotonin is thought to contribute to feelings of depression, fatigue, trouble concentrating, and increased appetite. Treatment for seasonal depression may include an antidepressant as well as behavioral interventions to address your change in mood. But some doctors also recommend phototherapy, a light that helps treat the patient and tricks the brain into producing less melatonin, a natural hormone that causes you to feel sluggish and sleepy. Phototherapy has been observed to be effective in some cases of seasonal depression. Whether phototherapy will be effective for you will depend on if you have any other pre-existing mental health issue. There also are some natural ways that you can help boost your mood if you suffer from seasonal depression. One way is to exercise 30 minutes a day, five times a week. Exercise produces mood-boosting endorphins, which helps to shake off some of those winter blues. Another method is to make sure that you try to get outside every day, at least for a little while. Even on cloudy days, your skin can soak up some of the sun’s rays and produce the serotonin that you need. Finally, if you feel you are suffering from seasonal depression, visit a mental health professional. Together you and a professional can find a regimen that works for you to help keep your Seasonal Depression in check. 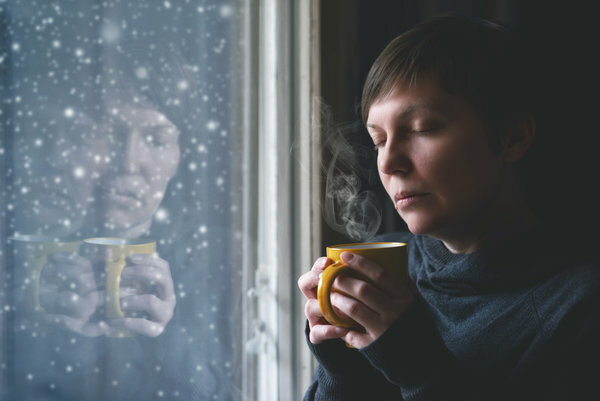 If you need assistance dealing with seasonal depression, contact Hidden Stream Counseling at 919-307-3805. Panic attacks can be a serious problem at any time of the year, but during the holidays they may be especially troublesome. 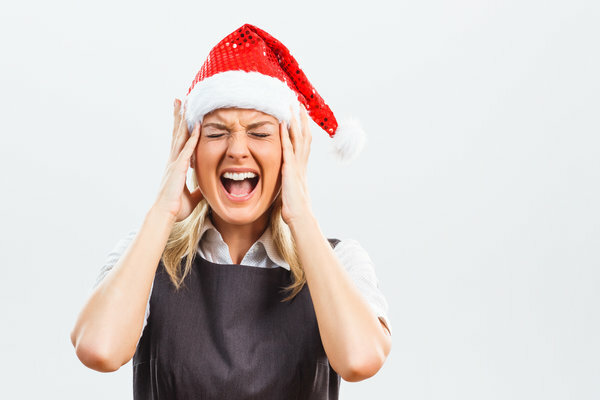 Panic attacks may be a symptom of panic disorder, but stress around the holidays can make them worse. However, there are ways you can manage anxiety before it starts. The first thing to do is to evaluate which aspects of the holidays are causing you the most stress. Do you worry about the finances, grieve a loved one, or stress over family relationships? Once you identify the aspects that make you feel stressed, make a plan on how to manage them. If it is finances, set a budget and stick to it. Be realistic about your finances and don’t go into debt that you cannot afford. If you are grieving a loved one, find a way to honor their memory during this season and enjoy it. They would want that for you. And if it is concern over seeing family over the holidays, think about your boundaries and be clear about what they are. Create a safety plan or cue word with your partner that will indicate it is time for a break or intervention. If you struggle with panic attacks, you might feel isolated during the holidays. Choose events that you want to attend, but avoid overtaxing yourself. Go to the events you can handle and don’t be afraid to say no or feel the need to explain why you can’t attend. The key is to not isolate yourself but to finding a healthy balance that fits for you. During the holiday season, it may be important to stay active and go outside. Walks outside can help you feel more relaxed and in control. If you need to, solicit friends or family members to go with you. Find something that is enjoyable for you, whether it is a walk in your neighborhood or trip to the gym. Don’t stay inside throughout the season. Focus on the future. The holiday season will come and go, so there is no need to focus on it too extensively. If you feel that shopping or planning are getting to you, see what you can do to minimize those activities like shopping online or giving gift cards. The holiday season will be over soon enough. The holidays may be a good time to ask for support if you are having trouble handling panic attacks. If you feel anxiety, you can find support in friends or family members. It’s usually better to explain what sort of help you would like, how they can support you, and what exactly panic attacks are. Sometimes, not all of our family members and friends will be equally receptive, but you can probably identify who is more supportive than others and confide in them. If you need to talk to someone about your panic attacks or to help you develop a plan, contact Hidden Stream Counseling at 919-307-3805. Divorce is not easy. In fact, it is difficult for all concerned. It represents a tearing apart of a life two people intentionally created and wove together over time. This separation and recreation may even have casualties for others involved, whether it is children or extended family members. 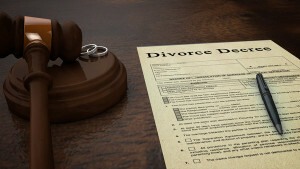 Divorce can significantly affect the emotional state of each individual in the marriage, as well as those on the periphery. According to the Center for Disease Control and Prevention, the divorce rate in the United States is slightly more than half of the marriage rate. This trend suggests that these individuals need support in creating a life after divorce. Without a doubt, there is life after a divorce. But denial and depression may unfortunately consume the emotional space of those experiencing the breakdown of a marriage. It will take time to come to terms with and accept that your life has changed. You will be creating a new normal that will require a number of changes in your daily life. Remind yourself that even though your marriage has ended, you still have value. Your happiness and joy are not restricted to a single person. You are responsible for creating your own happiness and meaning. While married, life is filled with compromise. Now, you have the time to make decisions for you. The biggest mistake that many people fall prey to is that they jump into a relationship soon after separation or divorce. It is important to take the time for self-evaluation and assess the new you. Otherwise, you may end up repeating the same mistakes you made before. So work on being a better you for your next relationship. This might seem hard at first, but fostering a good relationship with your ex is important to your healing. There is no rule that you need to be best of friends, but there must be forgiveness and a sense of closure that will allow a civil relationship for the future. Facilitating this relationship becomes even more important if children are involved. There is a need for co-parents to live in harmony and provide stability and security for the sake of the children. If you are enemies, it will be impossible to make effective decisions that will be in the best interest of you children. The truth is, a happy ex makes for a happy life. You must start to make plans for the future. After a divorce, some life plans will have changed and it is important to design a new plan for yourself. There is no benefit in dwelling on the past and what could have been. It is time to reinvent, reinvest, and redesign your life. Your life is not defined by what happens in your life, but how you are able to respond to what happens. Take charge of your new life after a divorce. If you wish to speak with a professional counselor contact Hidden Stream Counseling at 919-307-3805. Lynn had been having difficulty falling asleep at night for years. It was normal for her to spend an hour or two in bed tossing and turning each night, her mind invaded with distressing thoughts. She just couldn’t seem to turn off the worry, no matter how hard she tried. Even during the day, she would second guess every decision at work and assume that her colleagues did not like her. Lynn’s anxiety was costing her in many ways. Not only was it affecting her sleep, but it was impacting her work, her sense of self-worth, and her interpersonal relationships. In fact, anxiety was robbing her of the ability to enjoy life. For clients like Lynn who have generalized anxiety disorder, the recommended treatment is Cognitive Behavioral Therapy (CBT). The premise of CBT is that one’s thoughts influence their feelings, which then affect their behavior. For example, Lynn thought that everyone at work saw her as a wreck who could not do anything right. This thought caused Lynn to feel anxious, hurt, and scared. Her behavior then was to obsess over every detail of her work in an effort to prove that thought wrong. However, this led her to be inefficient at her job and she made careless mistakes. She also began isolating herself from others at work. These behaviors then reinforced her beliefs. When I spoke with Lynn and explained CBT, we also uncovered several other unhelpful thoughts that were feeding her anxiety. These thoughts included the belief that if she made any mistakes, she would lose her job. And if she lost her job, then she believed it would be impossible for her to find another job. Based on this thought, she also believed that she would lose her apartment and have to go live with her parents. But it got even worse, she also worried that she would have to depend on her parents for the rest of her life. It is easy to see why these thoughts caused so much turmoil. Lynn wanted to be independent and viewed as confident and capable, but she was so anxious these wouldn’t be true. Once we identified these thoughts, I asked Lynn to test them. Were they accurate? Was there evidence to back up her beliefs? Or were there other facts she had been discounting that actually proved her thoughts were inaccurate? Lynn soon recognized that there were things she was doing right at work. She had just received a glowing performance review and was on track for a promotion. Some of her colleagues also had invited her out to dinner one night, but she was unable to attend because she was so preoccupied with work. She also realized that even if she lost this job, she would be able to find another and had a sizable amount of money saved up for a rainy day. As we worked through these thoughts and identified other behavioral strategies, Lynn’s anxiety began to decrease. She was able to sleep better most nights and only allowed herself to check her work once before turning it in. She also started initiating towards others and found pleasurable things to do. She was slowly beginning to enjoy life again. If you, like Lynn, want support and guidance in confronting your anxious thoughts, please contact one of our therapists today. Lynn didn’t know what to make of her heart racing. She felt like the walls were caving in on her and the crowds at the mall were making her want to flee. Her vision became spotty and she felt faint. She couldn’t escape fast enough. Once she made it to her car, she found herself shaking uncontrollably. After a few minutes in the safety of her car with the air conditioning on full blast, her breathing returned to normal and her heart stopped racing. Lynn just had a panic attack. If you are like Lynn, your next thought would be, “I’m not going back there again. I knew that was a bad idea.” Individuals with anxiety tend to believe that those activating situations or events are the cause of panic. When the truth is that the blame falls squarely on their amygdala. You see, the amygdala is part of your brain that is responsible for gauging emotional responses, including danger. However, the amygdala often exaggerates the fear response in people with anxiety. What this means is that individuals think they are in extreme danger when actually they aren’t. (For more information on the brain’s role in anxiety, read my previous blog on Understanding the Anatomy of Anxiety). In Lynn’s situation, her amygdala informed her hypothalamus that there was danger. The hypothalamus then released adrenaline, which caused Lynn to have physical symptoms of a panic attack. In my work with individuals like Lynn, my first step is to educate them on this physiological process. It has been interesting to me how many of my clients have asked, “Can I just get rid of my amygdala?” While I understand their desire to easily get rid of the source of their problem, I also have to remind them that the amygdala comes in handy more times than not. For example, the amygdala informs you when there is actual danger, such as when the eye of the stove is still hot. The amygdala informs you not to touch it, reminding you of a childhood memory in which you were burned. So you don’t want to lose your amygdala. It offers many benefits. But you do want to train your brain to recover from amygdala hijacking. Soon after Lynn’s incident at the mall, she began attending therapy and learned to recognize the signs of a panic attack and how not to pay attention to the amygdala’s exaggerations. She also started talking back to her amygdala and did the opposite of what it was telling her to do. Instead of fleeing, she began staying in the moment and recognized her symptoms soon abated. The more she responded this way, the less intense her panic attacks became. If you, like Lynn, want support and guidance in confronting your anxiety, please contact one of our therapists for help.